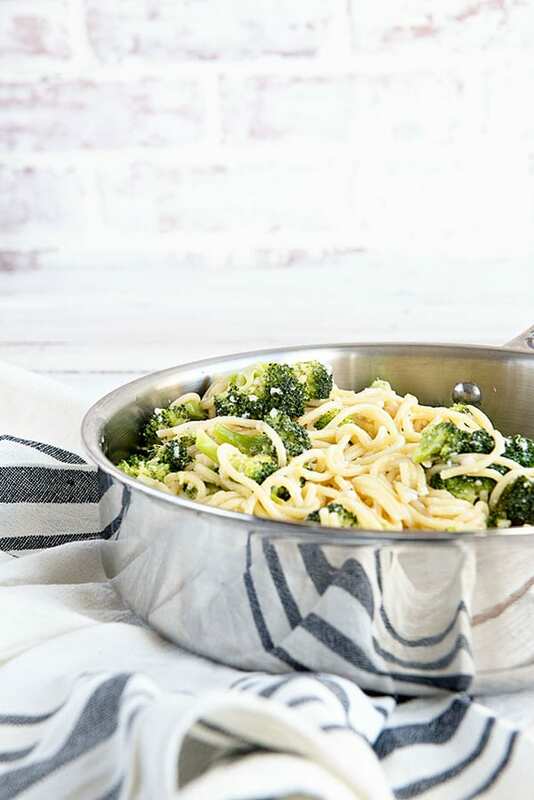 This One Pot Creamy Garlic Noodles recipe is one of the fantastic recipes from the cookbook A Year of Favorites by Favorite Family Recipes. Can we talk about how much I love a good one pot recipe? First of all recipes like this make cleanup a breeze. Secondly, there’s just something about all the flavors melding together in one pot that makes a dish extra good. Finally, one pot meals usually equal comfort food. And who doesn’t love comfort food? 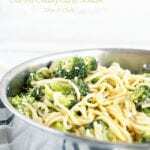 I love this One Pot Creamy Garlic Noodles recipe for all those reasons. It’s flavorful, comforting and easy! This is also what I love about the new cookbook A Year of Favorites. 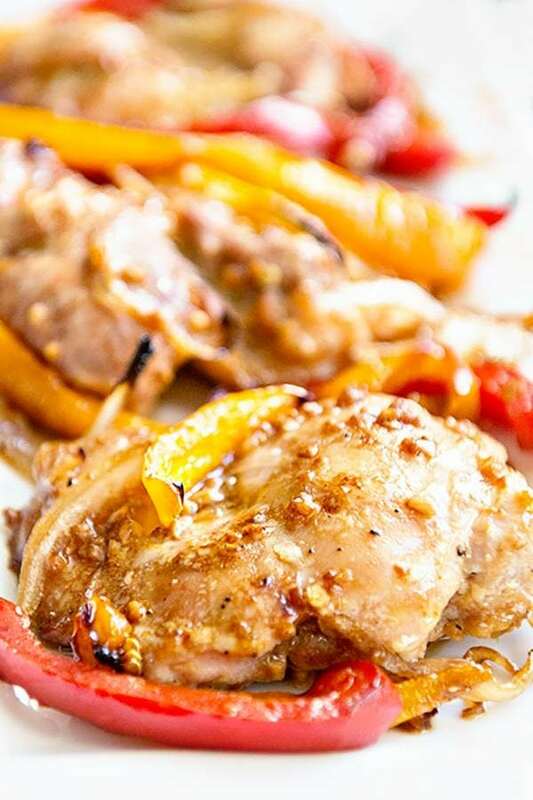 The delicious recipes found within are flavorful, comforting and easy. If you are familiar with the food blog Favorite Family Recipes you would expect nothing less from their cookbook. 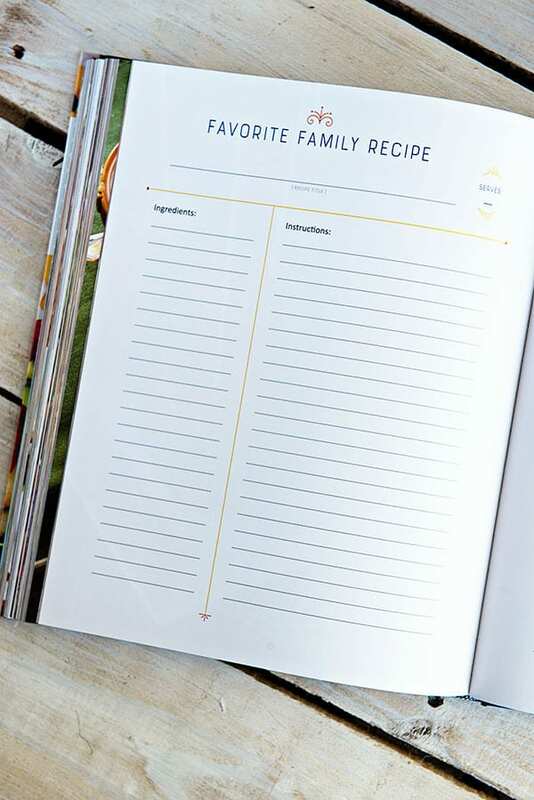 Their cookbook is full of the same kind of family friendly recipes you find on their blog. Before we move on to the One Pot Garlic Noodles recipe, let me tell you what I love about this cookbook! 1. If you are familiar with the Favorite Family Recipes blog, you know that behind the blog are 4 sisters. 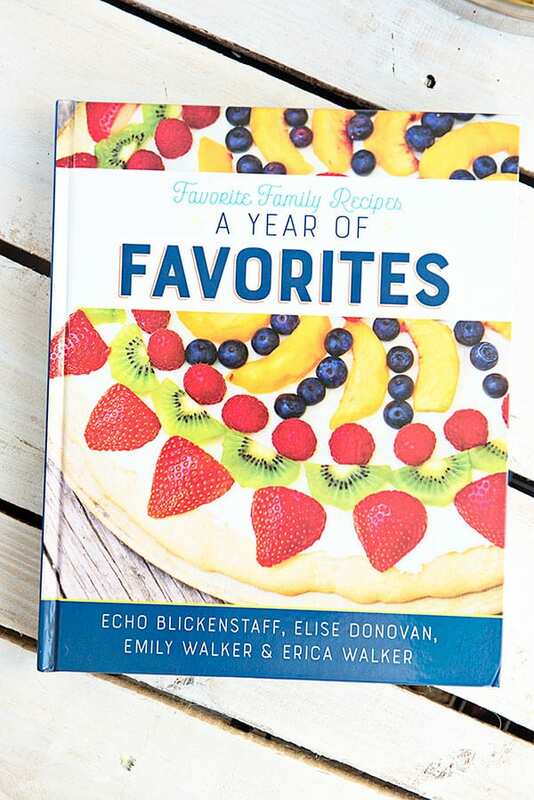 Echo, Elise, Emily and Erica all work together to make their blog (and this cookbook) what it is today. It’s a fantastic resource for anyone looking for classic and creative recipes your family will love. Their newest cookbook is sure to be the same. It’s one of those books you turn to time and time again for quick and simple recipes to feed your family. 2. A Year of Favorites is broken out by month. It truly is a rundown of the authors favorite recipes from each month of the year. What does this mean for you? It means you can flip to any month of the cookbook and find recipes that are seasonal to that month. Are you looking for a good recipe for grilling in July? The Asian Glazed Pork Kabobs are the perfect choice. How about an appetizer to share during December holiday entertaining? The Cranberry Almond Bacon Cheese Ball recipe will be one your guests will love. 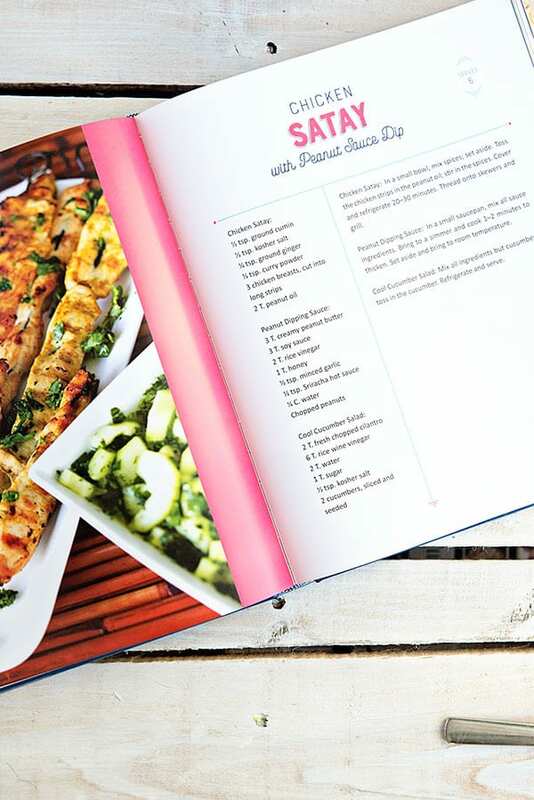 From beverages to desserts and everything in between, this book has close to 345 pages of recipe ideas for you. 3. After each chapter in this cookbook, readers will find a few pages to add their own favorite family recipes. I absolutely LOVE this idea so much! I understand that this part of the book was very important to Echo, Elise, Emily and Erica. I am so glad they included these pages because it’s such a great idea. 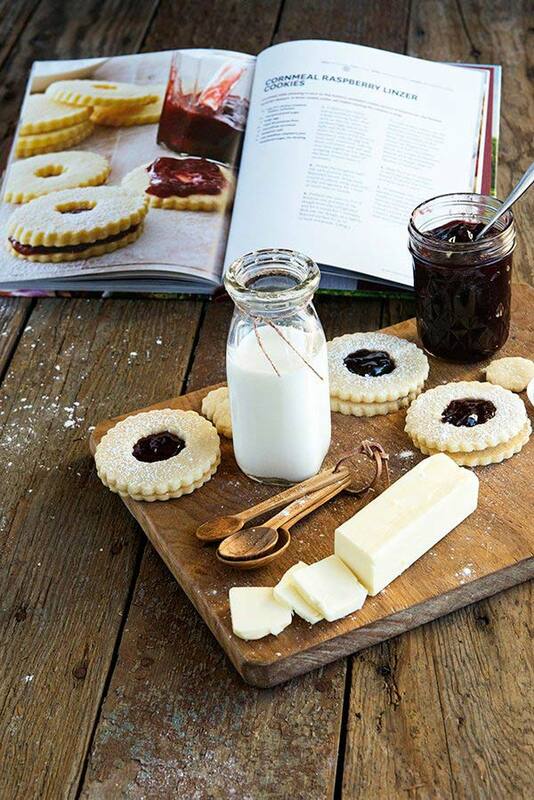 These extra pages turn A Year of Favorites from a cookbook full of great family recipes to a treasure to own. With a few simple pages readers can feel like this cookbook by one family can be a cookbook for all families. This cookbook would make a great gift for anyone who loves to to own cookbooks that stand the test of time. You can buy A Year of Favorites on Amazon, here. Today I’m sharing this One Pot Garlic Noodles recipe to show you how great the recipes in this cookbook are. I chose to feature this recipe because it’s extremely adaptable. 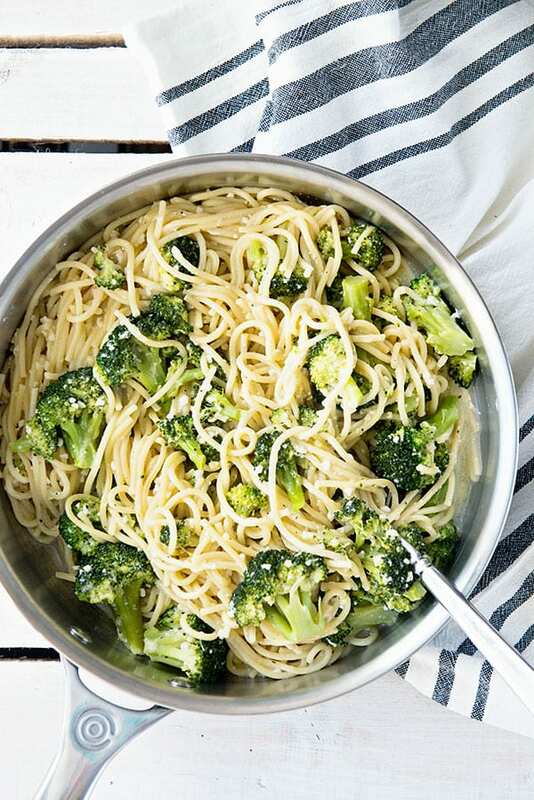 You can add broccoli or chicken for a main dish that’s ready in less than 30 minutes. It can also serve as an easy side dish that goes with just about anything. The original recipe calls for linguini but you can substitute spaghetti or angel hair pasta as well. In the end you have a quick cooking pasta dish with flavorful bits of minced garlic and parmesan cheese. What’s best is there’s even no need to drain the cooked noodles . It all simmers in one pot and the liquid absorbs resulting in a pasta dish bathed in a creamy garlic sauce. If you are looking for a great weeknight meal, look no further than this One Pot Garlic Noodles recipe. Also, if you want more family friendly recipes like this one, make sure to get the cookbook A Year of Favorites. I promise it’s full of great recipes your family will love! Enjoy! A simple one pot recipe that can be made in less than 30 minutes. Find more recipes like this one in the Year of Favorites Cookbook by Favorite Family Recipes. In a large 5-6 quart skillet or stock pot, heat 2 Tablespoons butter over medium heat. Add garlic and cook for about 1 minute. Add chicken broth, milk, remaining 2 Tablespoons butter, noodles, salt, pepper, and basil. Bring to a boil, stirring occasionally. Once boiling, reduce heat to a simmer; cook, stirring occasionally, for 16-20 minutes, or until noodles have cooked through. Stir in Parmesan cheese when noodles are finished cooking. If needed, add addition milk until a desired consistency is reached. If you want to add broccoli and/or chicken, stir it in 10 minutes into the simmering process. 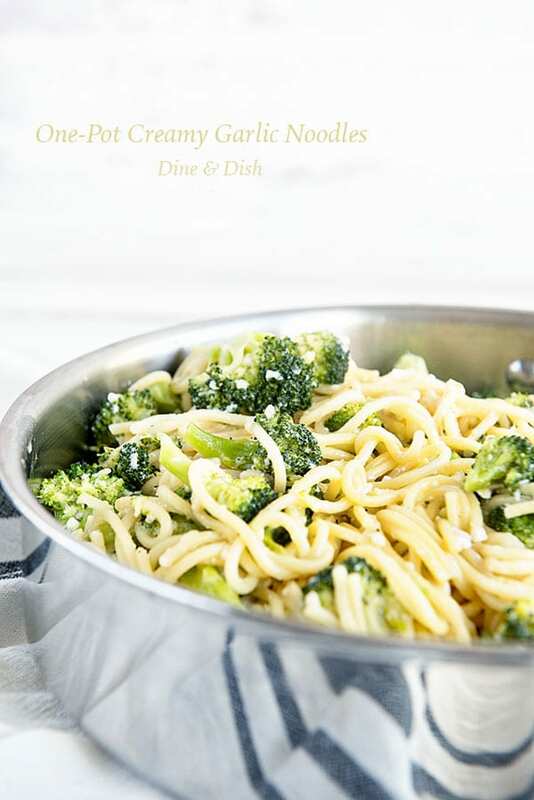 One-Pot Cream Garlic Noodles recipe from the A Year of Favorites Cookbook. Disclosure: As a friend of the Favorite Family Recipes bloggers, I was given their newest cookbook. The review of A Year of Favorites and opinions shared are completely my own. In addition, this blog post contains affiliate links. At no cost to you, when you shop through one of the affiliate links provided I may receive a small commission. Thanks for supporting Dine & Dish in this way. This looks amazing! On list to try this week. I can’t wait to try it! It looks so creamy and delicious. Looks delish! I am putting it on the menu this week for my busy house.